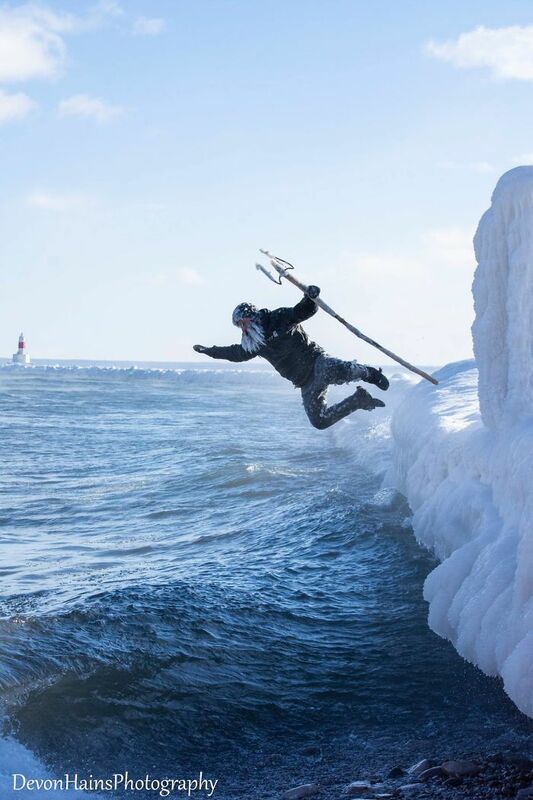 The last thing you’d expect for someone to do in the midst of a polar vortex is probably surfing in the frigid waters, but that’s exactly what Daniel Schetter decided to do on Lake Superior. Fortunately, photographer Devon Hains was there to capture all of the action. According to Hains, the photos were captured across two shoots: one on January 27 and other on January 30. The temperature was around -3° F, but the windchill was about -30° F. Read more for additional pictures. and information. “The photos were shot two days last week, Sunday, January 27 and Wednesday, January 30th. The photos feature both Surfer Dan and Allen Finau. They were shot at Presque Isle Park in Marquette Michigan on Lake Superior. The temperature for the Sunday shoot got down to -30 degrees Fahrenheit (-34°C) with the windchill,” Hains told Bored Panda.